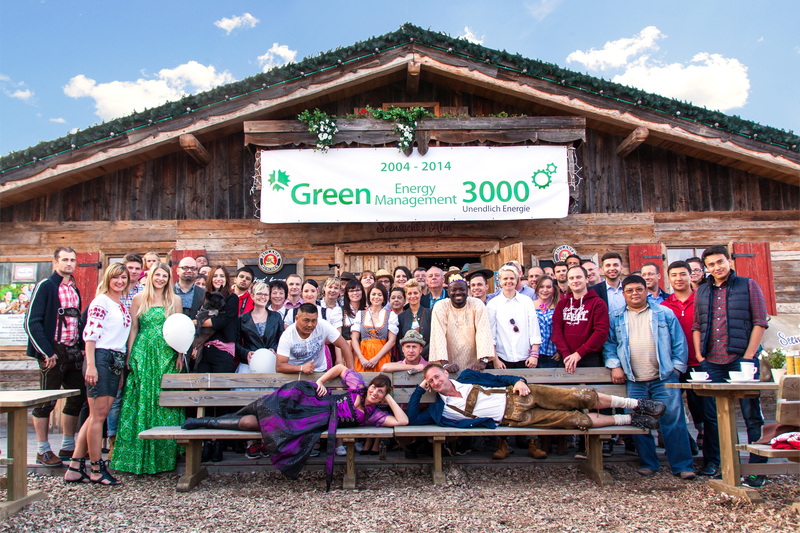 On 4th September Green Energy 3000 GmbH and Green Management 3000 GmbH celebrated their firm decennial. It was an unforgettable beautiful day of memories of all the passed exciting 10 years together with all colleagues from here and from the international branch offices. According to the Oktoberfest season the event took place in a country-style alpine cabin. 60 employees as well as a handful of picked guests mostly wearing gorgeous Bavarian traditional costumes celebrated on the Seensucht`s Alp near the yacht harbour “Marina Bernsteinsee” in Bitterfeld (Saxony-Anhalt). After paying addresses and acknowledgements of both managers Heike Liebscher (Green Management) and Andreas Renker (Green Energy 3000) and a shared hearty snack they were all invited to explore the nearby lakeside promenade at the lake Goitzschesee with sportive activities. Besides the possibility to break through a specially built obstacle course by Segway, there was the chance to do water sports in wonderful sunny weather. Several boats were available for sailing under perfect weather conditions and they were used a lot indeed. A little surprise was the unveiling of a sailing boat in green-white “Green Energy Design”. A common tour on the MS Reudnitz, a pirate ship from the 18th century, across the lake Goitzschesee finished the sportive activities. After a delicious dinner there was a big party with live music. 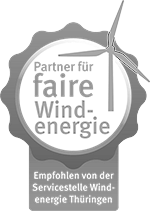 Green Energy 3000 GmbH has passed 10 years of project development of photovoltaic parks and wind farms in Germany and Europe. Altogether the business group is responsible for the construction of facilities with a total output of 85 MW. Furthermore by stretching its links to Kazakhstan, Green Energy expands its portfolio with a branch office in Central Asia. The ground-breaking ceremony of a Green Energy project in Kazakhstan is expected in the region of Sozak in the first months of next year. With this 50 MW project Green Energy will open up its biggest solar park in firm history so far.